The george pen is elegant simplicity personified. The sleek lines of the pen lend to the overall balance and comfort experienced while writing. The clip while functional, is also stylish, expressing curves in the art nouveau style. 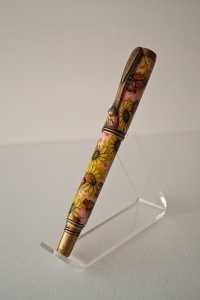 Plated an antique brass finish just screams VINTAGE and style; this pen is an eye catcher.